Do birds sleep in flight? The following review examines the evidence for sleep in flying birds. The daily need to sleep in most animals has led to the common belief that birds, such as the common swift (Apus apus), which spend the night on the wing, sleep in flight. The electroencephalogram (EEG) recordings required to detect sleep in flight have not been performed, however, rendering the evidence for sleep in flight circumstantial. The neurophysiology of sleep and flight suggests that some types of sleep might be compatible with flight. As in mammals, birds exhibit two types of sleep, slow-wave sleep (SWS) and rapid eye-movement (REM) sleep. Whereas, SWS can occur in one or both brain hemispheres at a time, REM sleep only occurs bihemispherically. During unihemispheric SWS, the eye connected to the awake hemisphere remains open, a state that may allow birds to visually navigate during sleep in flight. Bihemispheric SWS may also be possible during flight when constant visual monitoring of the environment is unnecessary. Nevertheless, the reduction in muscle tone that usually accompanies REM sleep makes it unlikely that birds enter this state in flight. Upon landing, birds may need to recover the components of sleep that are incompatible with flight. Periods of undisturbed postflight recovery sleep may be essential for maintaining adaptive brain function during wakefulness. The recent miniaturization of EEG recording devices now makes it possible to measure brain activity in flight. Determining if and how birds sleep in flight will contribute to our understanding of a largely unexplored aspect of avian behavior and may also provide insight into the function of sleep. I am grateful to the late Ebo Gwinner who inspired the work on sleep and migration. I also thank Dolores Martinez-Gonzalez and Martin Wikelski for their thoughtful comments on the manuscript and Theo Weber for assistance with the figures. 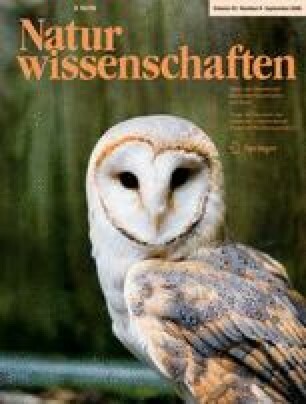 The Max Planck Institute for Ornithology—Seewiesen supported this work.